BHOPAL: An 80-year-old farmer has committed suicide in Madhya Pradesh. According to police, Vidyadhar Yadav, who hailed from Tapariyan in Tikamgarh district, jumped into the river and ended his life. Yadav owned four acres of land. However, he was depressed lately because of crop failure. Local residents said that Vidyadhar's family had planned to marry off his granddaughter but the family didn't have enough money. Of late, he was repeatedly heard ruing that he didn't have money. Due to poor financial condition, the family members were having a tough time. In the last couple of days, he looked more and more depressed. On Wednesday, he jumped into the Jamni river near Orchha. After the suicide, local police registered a case in this regard. 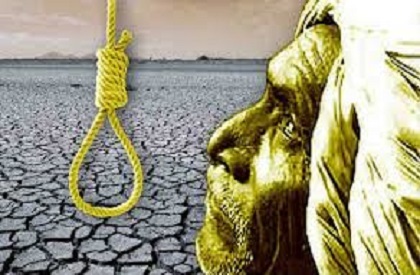 Farmers have been committing suicide in the state due to several reasons, ranging from crop failure to debt, harassment by money-lenders or notices by power company officials. Last year, farmers' movement in the state had forced the entire nation to take notice. Five farmers were killed in police firing in Mandsaur, during the agitation. However, the farmers' issues remain unresolved and deaths continue.